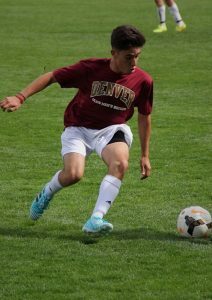 Long before becoming the first in his family to attend college, 2016 Boettcher Scholar Cesar Caraveo was learning to thrive in whatever circumstances came his way. At just one week old, Cesar faced major surgery for spina bifida, a condition with serious health and mobility risks. Not only did he surpass his prognosis by walking at the age of one, by age three, he was playing soccer. Less than a decade later, severe scoliosis put Cesar in a body cast for three months and sidelined him from soccer for more than a year. Instead of being discouraged, Cesar used the experience to study, recover and develop a sense of unconventional optimism, a philosophy that has shaped his life and led to his rapid return to the soccer field and school. Cesar’s optimism opened doors for leadership with his soccer team and within his high school. His parents encouraged him to take advantage of every opportunity that came along. That led him to volunteer with the Spina Bifida Association of Colorado and to travel to Europe with a youth exchange program – both experiences he believes contributed to his earning a Boettcher Scholarship. Now in his third year at the University of Denver, Cesar is pursuing a degree in computer science along with minors in business administration, mathematics, leadership and Spanish. 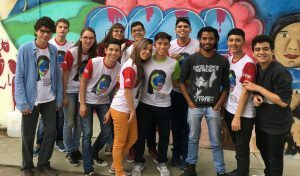 While he is involved with the DU club soccer team, Pioneer Leadership Program and 1GenU, a program for first generation DU students, Cesar has perhaps been most challenged and inspired by the summers he’s spent interacting with high schoolers in Brazil. Cesar recently completed his second summer as a teaching fellow with US-Brazil Connect, a Denver-based organization that builds cultural connections and leadership through English-language instruction. 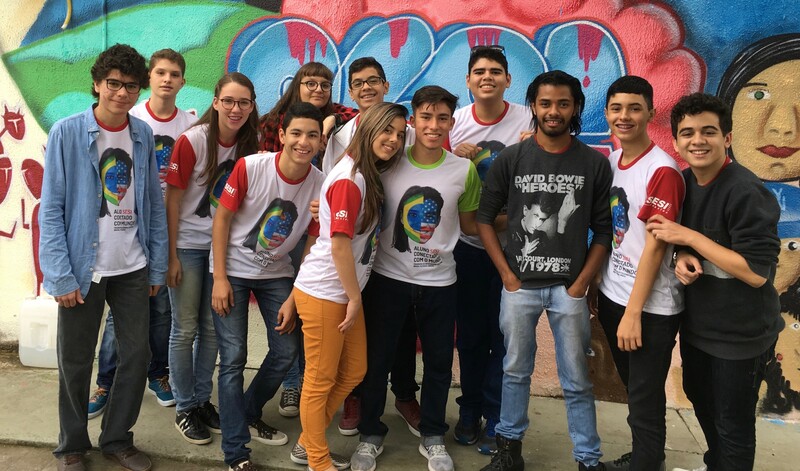 After traveling to Brazil in 2017 with a Boettcher Educational Enrichment Grant, Cesar was recruited as a senior fellow to teach English online and onsite in the Brazilian Amazon. The program honed his leadership skills and inspired a love for teaching that has convinced him to apply his computer science degree as a teacher. “US-Brazil Connect was life-changing. Not only is it the reason I want to one day teach, it gave me a more grounded perspective that time spent with people and in relationships is what matters,” he said. When Cesar thinks about the Boettcher Scholarship, he doesn’t dwell on the accomplishment, but sees how it has prepared him for something greater.